I learned to follow my heart in college. I started out in med school and I realized that I love studying literature more than how to cure people, so I followed my heart all the way to the Lit. Department and never looked back. And just recently, when I decided to concentrate on building a career as a writer, I followed my heart and quit my day job. Scary, but worth it. Ironically, I only started gaining an interest in reading during my first year of high school. I was really into fantasy novels. Raymond E. Feist and David Eddings were my favorite reads. I guess you can say that it’s from their novels that I found an interest in world building. For those who are unfamiliar with your Novel; Taste, how would you introduce it? 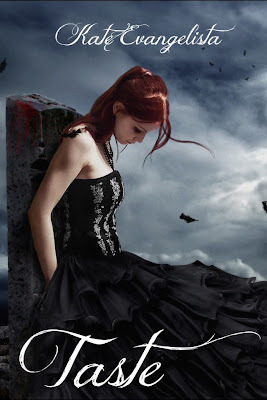 Taste is basically a YA paranormal romance about this girl who gets more than she bargains for when she decides to help an ancient civilization escape civil war and total annihilation. What part of Phoenix did you enjoy writing the most? I love Phoenix’s conviction, which often times leads to reckless decisions. She’s very curious, and as we all know, curiosity killed the cat. In this case, her need to know drops her into a world that sees her more as dinner than anything else. Did you learn anything from writing Demitri and what was it? Demitri is very duty oriented. He was brought up to help his people, to fulfill his duty. I guess this sense of duty is what frustrates Phoenix the most about him because it’s a very one-track-mind mentality in his case. I wrote Taste as a stand alone, as I do with all my novels, but the story can certainly have a sequel. We’ll see the response to Taste. If the readers want more, I will be happy to oblige. I dream of travelling, so I’ve only really been to a few places so far. But my best memory comes from riding a helicopter over Niagara Falls. It’s one of the most beautiful sites in the world. Of course, as I am always open to new experiences, my opinion will likely change. Time is the one thing you cannot return or exchange, so don’t waste it. And the biggest waste of time? Avoiding doing what you love most. I love this question! Halloween, without a doubt. It’s the one day where we all get dressed as something else. It’s when the vampires, werewolves, witches, and all other beings come out to play. And don’t forget all that candy! In the Philippines, we don’t really have summer jobs per say. When you’re a teen, it’s usually summer lessons in sports or art or music. So, I can’t say I ever had a summer job. 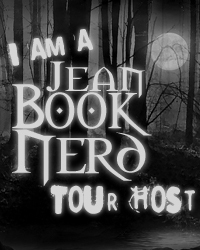 I want to take this moment to thank Jean for having me over at Book Nerd. It’s been a pleasure answering all your burning questions and sharing a bit of myself with your readers. It’s an honor. And good luck in the giveaway! I look forward to sending the prize to the winner. Jean : Thank you taking the time to talk to my Book Nerd Community Kate! Thank you Kate for making this giveaway possible. 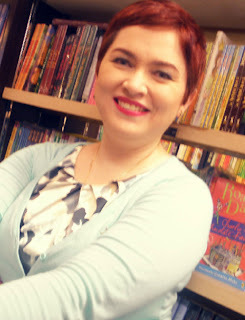 3 Winners will receive one e-copy of Taste by Kate Evangelista. I Winner will receive this exclusive Taste Necklace. I went to Las Vegas! And it was so fun! I went to France as an Au-Pair when I was 16. I've never been on an airplane either. I flew from Zimbabwe (where I born)to the UK for a holiday when I was 11.
hehehe don't lie about that Kate!! bwahahaha ~JK~ I loved your answers!!! >.< and O_O didn't know about you guys not having summer job! Sadly, I haven't ridden an airplane. ;) But I would loved to! I have never been on a airplane. and I am scared of heights so it may never happen. Thanks for the giveaway. Florida for vacation, we had a 4 room suite and it was fabulous! On my first airplane ride I went to Florida to visit my father. It was a little surreal, but I loved it all the same. I think I went to visit family back on the East coast when I live in Wisconsin. It was pretty fun, but I have very sensitive ears, so the pressure changes wreaked havoc on my balance and hearing for a while. Thanks for another giveaway! To visit some relatives in Malaysia. I think I was only about 3 years old! yeah I am afraid of heights so I drive every where and dont ride on planes lol Thanks for the giveaway!! I went to Bolton, England. thanks a million for the giveaway:)) you both rock for this!! :) First plane ride was NY when I was young! I went to Trinidad, in the Caribbean.